Your donation will support individuals with Intellectual/developmental disabilities, mental illness, and/or traumatic brain injury to lead meaningful, independent lives rooted in their community. 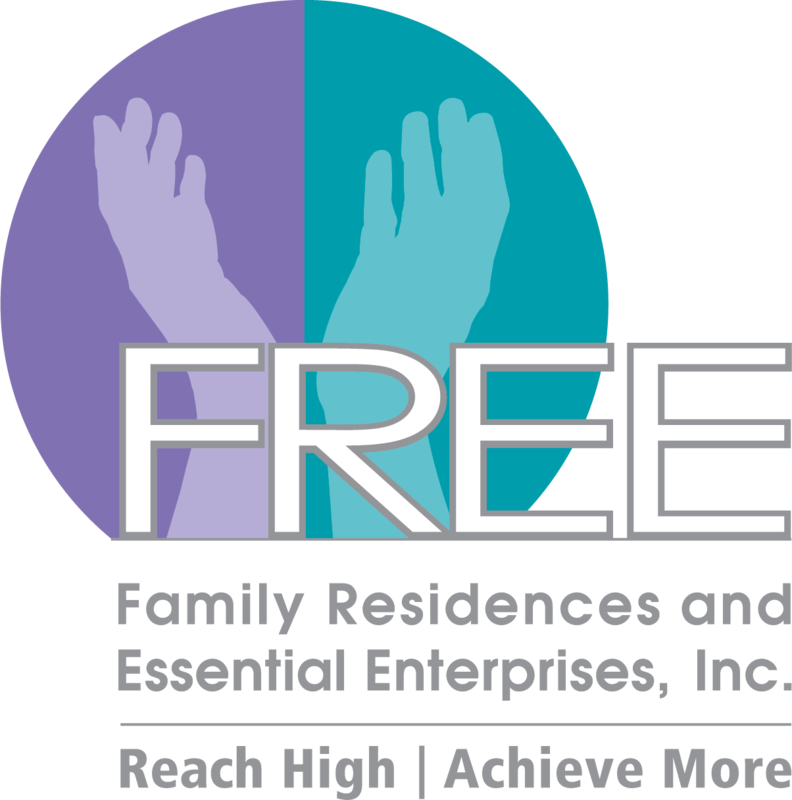 Donations, both large and small, have helped Family Residences and Essential Enterprises, Inc. (FREE) create innovative services to meet a wide range of needs for over 4,000 individuals each year. Through your generous support, individuals lead richer and fuller lives. FREE is a 501(c)(3) not-for-profit organization and your contribution is fully tax-deductible to the extent allowed by law.